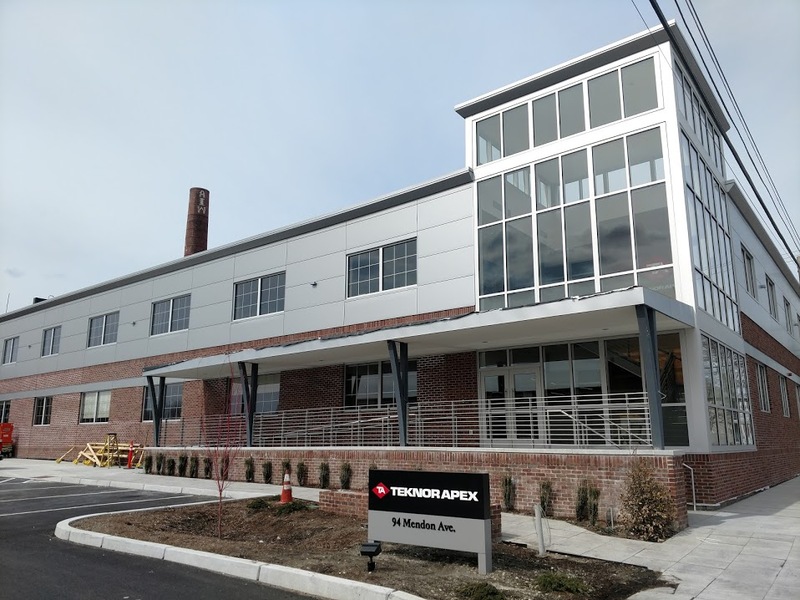 Teknor Apex is one of our latest completed projects. 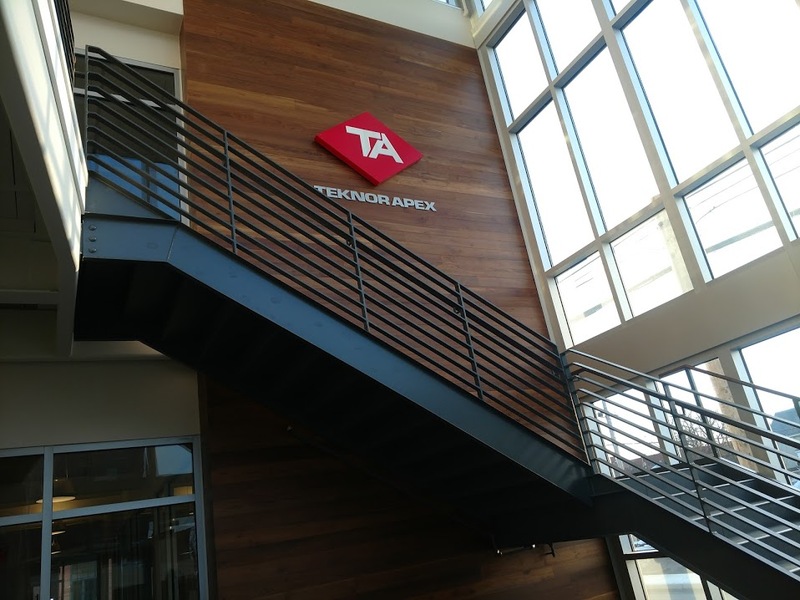 This was a renovation to their headquarters in Pawtucket, Rhode Island. 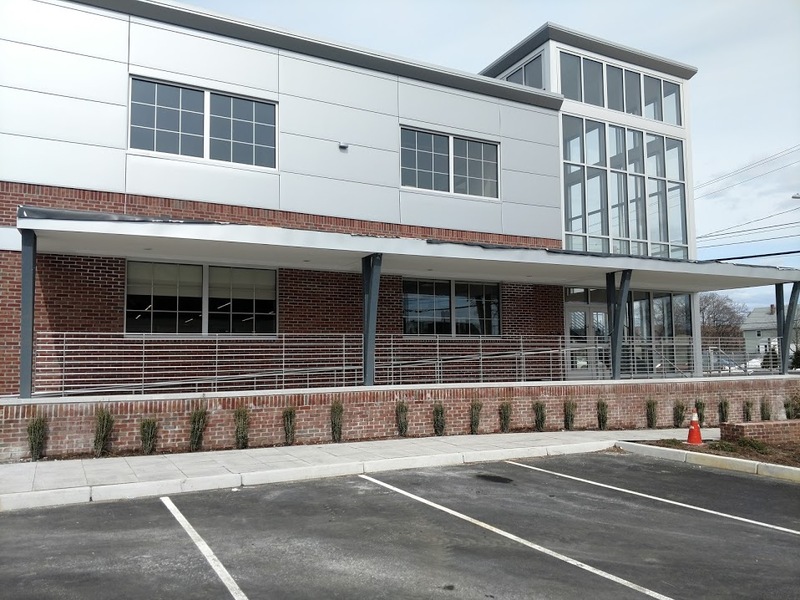 We were heavily involved in this job because we handled the structural steel, miscellaneous metals and metal panels. The structural steel scope included framing for a new canopy and a new main entrance. The misc metals had a front and rear stair with guardrails. 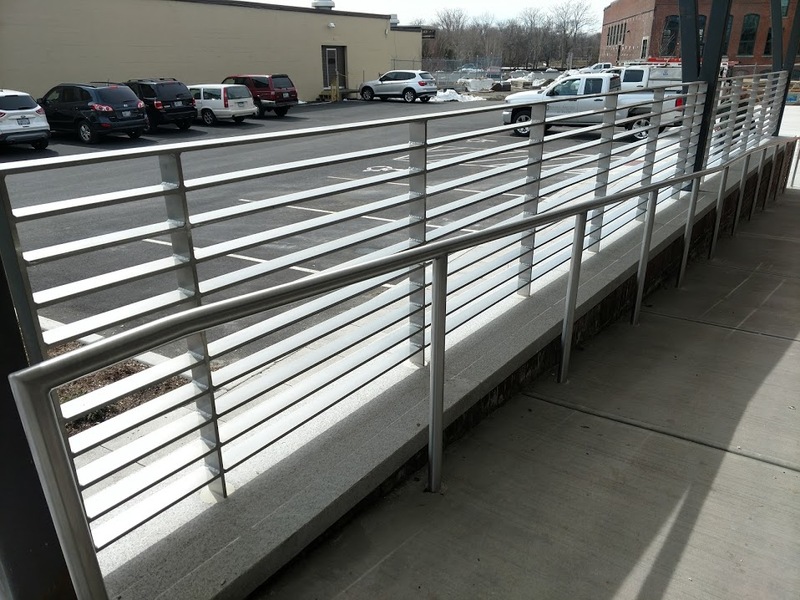 There was also an aluminum ramp and stair rails that had a brushed finish. The metal panels for this project were horizontal optimo flat smooth panels by Kingspan. They are 2” thick and are a 36” module. There was approximately 5,500 square feet of the panel that wrapped all four sides of the building. We are very proud of everyone on our team that was involved with this project.